You’ve probably been warned by people more experienced than you that getting a lot of credit checks can actually lower your credit score (and by a significant margin, no less). Unfortunately, this is true. But it’s not totally accurate. While a lot of activity on your credit report (in the way of creditors requesting a copy of the report) will probably set off alarm bells at the bureaus that determine your credit score, they have been in the business long enough to realize when you’re looking to make a major life purchase (such as a car, a house, or a college education) rather than racking up a lot of debt that you have no intention (and no means) of paying (as with multiple credit cards). Here’s what you need to know before you start doing credit checks so that you can manage it in the right way. 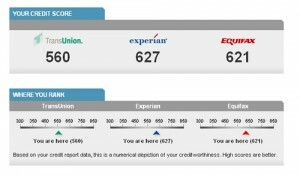 Is your credit score affected by a credit check? For starters, you need to know what is on your credit report. In fact, you should be checking it on a yearly basis. This can be done by simply ordering a free report online (at AnnualCreditReport.com). This is considered a soft credit check and it should not adversely affect your score. This should be done whether you plan to make a large purchase or not just so you can keep track of your credit rating and make sure that there is no misinformation, black marks, or fraud occurring. This is also helpful in building a perfect credit profile. Once you know what is on your credit report you’ll have a better idea of how your credit score will be determined, which will give you a better idea of what type of loan you can get, which could save you a lot of time, trouble, and credit checks (at least until you are able to improve your rating). And once you start shopping around for loans or credit cards, there are a couple of things you should know going in. First of all, the effect on your credit score is not based solely on the fact that you are seeking multiple credit checks. If these requests are coming from financial institutions, such as banks, the credit bureau will assume that you are seeking a loan for a major purchase, such as a car, a home, a business, or schooling. Of course you will want to check with several lenders in order to get the best deal, and the credit bureau understands this. For this reason, they will exempt these types of checks over the course of 30 days before allowing them to show up on your credit report. This gives you plenty of time to shop around and secure your loan before there is any effect on your credit score. And once you start paying off your loan, your score will quickly rebound. If, on the other hand, you are shopping around for credit cards, you won’t receive the same consideration. Although you may simply be looking for approval so that you have many cards to choose from when the time comes, the credit bureau will not differentiate between you and the person that is looking to get as many credit cards as they can, rack up the charges, and then default (in short, commit fraud). So narrow down the number of cards you’re interested in before you try to get approval. Otherwise you could be looking at losing five points off your credit score for every credit check.